Matías Amigo is a Media Producer based in Bahía Blanca, Argentina. Matías has worked for 13 years in television, he is part of "Somos Bahía" a local channel in his city. He has performed pre-production, camera, editing and directing tasks. During the last years he won several times the ATVC awards for cable television in Latin America. Nowadays, Matías, works as a mojo trainer specialized in android technology. During the last months he has traveled to Buenos Aires to offer different workshops on mobile journalism; In addition, in 2017 he created the first guide to mobile journalism in Spanish language. He is currently one of the mojo references in Latin America. Matías Amigo es un Productor de Medios Audiovisuales con sede en Bahía Blanca, Argentina. Matías ha trabajado durante 13 años en el mundo de la televisión, formando parte del staff del canal "Somos Bahía" realizando tareas de preproducción, cámara, edición y dirección. Durante los últimos años fué múltiple ganador de los premios ATVC a la televisión por cable en latinoamérica. Hoy en día, Matías, trabaja como entrenador mojo especializado en tecnología Android. Durante los últimos meses ha viajado a Buenos Aires a brindar distintos talleres sobre periodismo móvil; además en el año 2017 creó la primer guía de iniciación al periodismo móvil en español. Su presente lo coloca como uno de los referentes mojo en América latina. 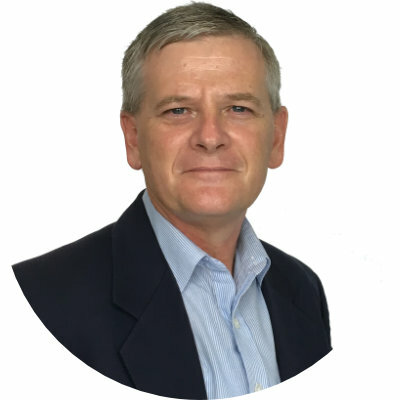 Charles is the founder and creator of View News, a locally focused news organisation based on the beautiful Sunshine Coast, Queensland Australia. Charles has built View News on the principles of Video, Mobile and Social. With many years experience working out what works and what doesn't, Charles now shares his knowledge, experience and workflows to journalists, local government, business and anyone who just wants to know how to create high quality video quickly and affordably. His particular focus is mobile video content creation for online and social media. Corinne covered international news for the BBC and ABC from 1996-2012 and was an early smartphone storytelling adopter at the ABC. Since 2013 she has worked as an international media development consultant, teaching mobile & social storytelling in Europe, Africa and Australia. Corinne has trained over 2,500 journalists and communicators from media outlets, business, NGOs and charities to use smartphones for social video, TV output, radio, podcasts and photography. She is a qualified BBC Media Action and Thomson Reuters Foundation trainer, has taught digital journalism at universities and colleges in Australia, the UK and USA, and speaks regularly at conferences including Mojocon and the International Journalism Festival. Max Schleser is a filmmaker, who explores smartphones and mobile media for creative transformation and media production. His portfolio (www.schleser.nz) includes various mobile, smartphone and pocket camera films which are screened at film festivals, galleries and museums internationally. He is the Creative Director of the collaborative digital storytelling platform 24 Frames 24 Hours and creative co-producer of Viewfinders. He is referred to as a pioneer and leading practitioner of mobile phone filmmaking in magazines including Idealog, MovieMaker Magazine and Creative Plus. Over the last six years Max provided research and Industry consultancy for Nokia, Frontier Strategy, Open Lab, Virtuo and Adobe. Max presents keynotes at festivals internationally exploring Mobile Media, Online Video, Digital Storytelling, Cross-Media Production and Creative Innovation. He frequently talks about the prospects and potential of smartphones for creative media production as well as community engagement. He also conceptualized and conducted numerous mobile filmmaking workshops for community groups and creative professionals. Max co-found MINA, the Mobile Innovation Network Australasia [www.mina.pro], and curates the annual International Mobile Innovation Screening. Tom is a media professor at the Thomas More University College. Tom has always combined this job with different freelance projects. The emphasis the last couple of years is on mobile journalism: storytelling, filming and editing. He is the MOJO trainer at VRT (public broadcaster) Persgroep, Mediahuis, UBA, Flemish Parliament, Colruyt Group, … and the co-author of 'How To Story', a book on storytelling for video journalists. His focus is on video, transmedia production and new technology, always in combination with strong storytelling. Ik ben docent media aan de Thomas More Hogeschool. Ik heb dit altijd gecombineerd met verschillende andere projecten. De laatste jaren ligt de nadruk op mobile journalism: storytelling, filmen en monteren. Ik ben de MOJO trainer voor de VRT, Persgroep, Mediahuis, UBA, Colruyt Group, … Ik ben co-auteur van 'How To Story', een boek over storytelling voor videojournalisten. Mijn expertise is video, transmedia productie en nieuwe technologie, altijd in combinatie met straffe storytelling. International Broadcast and Trainer since 2001. MoJo Trainer since 2012. for Circom Regional and various media organizations. Current position as VJ/MoJo/Broadcast Trainer at Croatian Radiotelevision Academy. Technology geek and in love with a good story. Međunarodni edukator u području audiovizualne radijske, televizijske i online produkcije od 2001. Organizator i voditelj MoJo radionica od 2012. Zaposlen Na Hrvatskoj radioteleviziji/HRT Akademiji. Zaljubljenik u tehnologiju i dobro ispričanu multimedijsku priču. Silas Bang is an Editor of Social Media and mojo-trainer at the second largest private media company in Denmark, Jysk Fynske Medier. He has done mobile training for Update at the Danish School of Journalism and now helps the several hundred journalists at Jysk Fynske Medier getting better at shooting and editing video with only a mobile phone. He also runs a blog about digital tools and apps for mojo. Silas Bang er redaktør for sociale medier og mojo-underviser hos det næststørste private medie i Danmark, Jysk Fynsk Medier. Han har undervist i mobiljournalist ved Update på Danmarks Medie- og Journalisthøjskole og underviser nu de flere hundrede journalister hos Jysk Fynske Medier i at blive bedre til at optage og redigere video med kun en mobiltelefon. Han driver desuden en blog om digitale værktøjer og apps til mobiljournalistik. Thomas is the owner of Videokursus.com and has worked as a photographer for more than 10 years. For the last couple of years he has been teaching and advising companies on how to produce their own mobile videos for use in marketing, branding, support, internal communication etc. Videokursus.com has the most extensive online video course library in Denmark and also offers workshops, MOJO courses and quality equipment via their web-store. Thomas har arbejdet som fotograf i over 10 år, og har de seneste par år - via Videokursus.com - rådgivet og undervist virksomheder i selv at kunne producere mobilvideo til brug i markedsføring, til support, intern kommunikation m.m. Videokursus.com er DK's største online videokursus portal - og tilbyder derudover fysiske kurser, MOJO kurser og workshops, samt kvalitets-videoudstyr via webshoppen. Guillaume Kuster is a French trainer and consultant based in Helsinki, Finland. He was a TV and Radio journalist for nearly twenty years for the French public broadcasters Radio France and France Télévisions where he was a reporter, presenter and trainer. He was among the MoJo pioneers and started to use mobile devices in broadcast in 2012. In 2016, he left broadcasting to become a full time consultant and trainer and help media organisations and others all across the world to implement mobile video recording and editing techniques in English, French, Finnish and German. Guillaume Kuster on Helsingissä asuva ranskalainen kouluttaja ja konsultti. Hänellä on lähes kahdenkymmenen vuoden työkokemus Radio Francelta ja France Télévisionsilta, joissa hän on toiminut toimittajana, uutisankkurina ja kouluttajana. MoJo-edelläkävijänä hän on käyttänyt mobiiliteknologiaa uutislähetyksissä vuodesta 2012. Vuonna 2016 hän ryhtyi päätoimiseksi konsultiksi ja kouluttajaksi erikoisalanaan mobiiliteknologian hyödyntäminen medioissa. Formerly IT journalist, today video reporter and creator of french blog videonline.info (the only one specialized in MoJo in France with tutorials and reviews), Laurent has been a mojo trainer for three years for Gobelins, l’Ecole de l’Image, co-writer of its Mooc "Réaliser des films de pro avec un smartphone". He also teaches MoJo at Sciences-Po-Paris, at EMI (Ecole des Métiers de l’Information-Paris), for Samsa, and in several big companies trough his own company, called Milledix. Ancien journaliste spécialisé dans les nouvelles technologies, aujourd’hui JRI/réalisateur, créateur du blog videonline.info consacré à la réalisation de vidéos avec un smartphone, Laurent forme à la vidéo-mobile depuis trois ans pour Gobelins (l’Ecole de l’Image, pour laquelle il a co-écrit le Mooc « réaliser des films de pro avec un smartphone ». Il enseigne aussi le « MoJo » aux étudiants de la filière journalisme de Sciences-Po-Paris, à l’EMI (Ecole des Métiers de l’Information-Paris) ou pour Samsa. Ainsi que dans différentes entreprises, associations ou institutions via sa propre société Milledix. Samsa.fr is the leading mojo training company in France. Our team of professional trainers can work in different fields (media, communication, PR, movies, etc) and different countries (France, Belgium, Switzerland, Morocco, Tunisia, Algeria, Lebanon and subsaharan African countries). They can teach in French, English and Arabic. Samsa.fr assure des formations à la production de vidéo-mobile en France et dans les pays francophones du monde entier. Notre expérience acquise auprès des médias est mise au service de tous (entreprises, collectivités territoriales, institutions culturelles, organisations humanitaires, cinéastes, etc). Nos formatrices et formateurs sont tous des professionnels expérimentés qui appliquent le savoir-faire et la méthodologie de formation mise au point au fil des années. 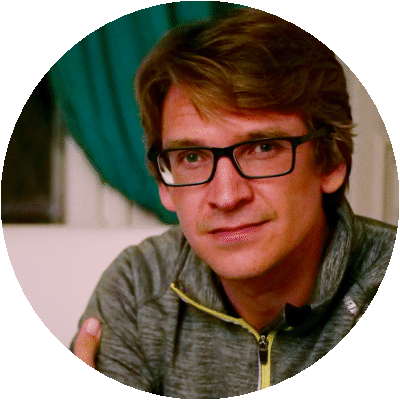 Bernhard Lill is a German freelance journalist and trainer, who has specialized in digital journalism: social media, storytelling and mobile reporting. He’s teaching international journalists and public relations officers how to use smartphones for telling their stories. Beforehand, Bernhard was working as a reporter and producer for major broadcasting companies (BBC World Service, Radio Bremen) and as a travel writer. From 1998 to 2009, he filed his stories from 16 countries on four continents. Bernhard Lill arbeitet als freier Journalist und Trainer. Er hat sich auf digitalen Journalismus spezialisiert: Social Media, Storytelling und Mobile Reporting. In seinen Workshops zeigt Bernhard internationalen Journalisten und PR-Mitarbeitern, wie sie mit Smartphones Filme produzieren und schneiden. Davor hat er als Magazin-Redakteur und Hörfunkreporter gearbeitet (BBC World Service, Radio Bremen). Von 1998 bis 2009 hat er aus 16 Ländern auf vier Kontinenten berichtet. Robb is a former journalist for the Chicago Tribune and the author of “Smartphone Video Storytelling” (Routledge Press - New York & London). He is a distinguished visiting professor at journalism schools in Paris and Vienna and has trained more than 25,000 people in mobile journalism workshops worldwide. His online certificate video courses, offered at the Smart Film School web site, are used by top universities and organizations. Montgomery's clients include Reuters, CNN, Radio Free Europe, and The New York Times. Marie Elisabeth Mueller is a media professor and trainer for mobile journalism and storytelling with evolving technologies. As a journalist she worked more than 15 years at the public broadcaster SWR Stuttgart. Mueller and her affiliate Devadas Rajaram designed the innovative “integrated digital workflow” for newsrooms and communication units. Both advice newsrooms, agencies and organisations worldwide on their transit into successful digital units. Marie Elisabeth Mueller ist eine Medienprofessorin und Trainerin für Mobile Journalismus und Storytelling mit neuen Technologien. Als Journalistin war sie lange für den SWR Stuttgart tätig. Mueller und ihr Ko-Trainer Devadas Rajaram haben den innovativen “integrierten digitalen Workflow” für Newsrooms und Kommunikationsabteilungen entwickelt. Sie beraten Newsrooms, Agenturen und Organisationen weltweit beim Transit in erfolgreiche digital Units. Bianca-Maria Rathay is a German-based mobile content creator and videographer. After being trained as a TV editor and working as an online news editor she founded her own company "So Handy" in 2014. The idea of So Handy is to provide one-stop digital video content enabling people to promote their stories online. Bianca-Maria helps PR, communication and marketing agencies, public organizations and smaller companies to create their own digital content. Her work areas include video production, editing, storytelling as well as trainings. Bianca-Maria Rathay ist selbständige mobile Videoproduzentin und Journalistin. Bianca-Maria volontierte als Fernsehredakteurin und arbeitete u.a. als Nachrichten-Redakteurin online, ehe sie sich im Jahr 2014 mit der Gründung von So Handy mit der mobilen Produktion selbständig machte. Bianca-Maria hilft PR- und Marketingagenturen, öffentlichen Einrichtungen und kleinen Unternehmen mit der Contenterstellung für den digitalen Markt. Ihre Arbeit umfasst die Videoproduktion, den Schnitt, das Storytelling und insbesondere Schulungen. Kai Rüsberg works in Bochum for Online, Radio and TV for nationwide ARD Network stations for more than 20 years as a reporter and producer. In 1997 he was one of the first reporters to produce as a VJ for the regional news programmes of the WDR. Since 2012 he got into MoJo productions and developed a simplified MoJo production method he calls #Oneshot reportage for quick web-videos. He trains that worldwide for academies like DW-Akademie or Interlink and for media publishing houses. He also has his own training company in Germany. 2015 he started a collaborative learning network MediaLAB.NRW for innovative media people, which runs the @MoJoMeeting in German language in February. Kai Rüsberg arbeitet seit mehr als 20 Jahren in Bochum für Sender der ARD als Reporter, Redakteur und Produzent für Online, Radio und TV. 1997 war er einer der ersten Reporter, der als VJ für das regionale Nachrichtenprogramm des WDR gearbeitet hat. Seit 2012 hat er sich auf MoJo Produktionen mit dem Smartphone spezialisiert und eine radikal vereinfachte Produktionsmethode für schnelle Webvideos entwickelt, die er #Oneshot Reportagen nennt. Er schult dies weltweit für Akademien wie Deutsche Welle oder Interlink sowie für ganze Presse-Verlagshäuser. Er hat eine eigenständige Schulungseinheit in Deutschland. 2015 hat er ein kollaboratives Weiterbildungsnetzwerk MediaLAB.NRW für innovative Medienmacher ins Leben gerufen. Unter diesem Dach organisiert er mit Bernhard Lill das @MoJoMeeting im Februar. Björn is a staff reporter with NDR / ARD German Television. He is head of NDR´s „NextNewsLab“ and has been leading NDR´s innovation in Mobile Journalism for over three years now. He has trained colleagues at NDR, students, corporate professionals and journalists abroad (in own seminars and with BBC Media Action). He regularly speaks at conferences, including Mojocon, re.publika and others. He wrote the textbook „Mobiler Journalismus“ and is currently preparing an updated version in English together with dutch #Mojo fellow Wytse Vellinga. Björn is a trainer Video Journalists and has worked as foreign correspondent for ARD German TV in London. Björn arbeitet als Reporter für NDR und ARD. Er leitet das „NextNewsLab“ des NDR und treibt im NDR die Innovation im Bereich "Mobiler Journalismus" seit mehr als drei Jahren voran. Er hat im NDR zahlreiche Kolleginnen und Kollegen geschult. Zudem hat er nebenberuflich Studenten, Unternehmen und Journalisten im Ausland (in eigenen Seminaren und als Trainer für BBC Media Action) in "Mobilem Journalismus" geschult. Er tritt regelmäßg als Sprecher auf Konferenzen auf (re:publika, Mojocon und andere) und ist Autor des Buches "Mobiler Journalismus" (Springer VS, 2017).Björn hat als VJ gearbeitet und für die ARD als Fernsehkorrespondent aus Großbritannien und Nordirland berichtet. Heike Stiegler is one of the first educated MobileJournalists in Europe. With more than 30 years experience in public tv and radio, she is now handing over her knowledge and experience to journalists, public-relation-officers of big companies and social-media experts. As a Mobile Journalism trainer she helps them using mobile devices for showing their stories in video and audio. Her phrase is: "There is never a problem, there is always a solution“. Heike Stiegler ist eine der ersten ausgebildeten Mobilejournalisten in Europa. Mit mehr als 30 Jahren Erfahrung im Bereich Fernsehen und Radio gibt sie nun ihr Wissen und ihre Erfahrungen weiter an Journalisten, PR-Manager von großen Firmen und Social-Media-Experten. Als Trainerin hilft ihnen dabei, mit den Möglichkeiten die Smartphones bieten, die eigenen Geschichten in Video und Audio umzusetzen. Ihr Leitspruch ist dabei: „es gibt keine Probleme, es gibt nur Lösungen“. Matthias Süßen is a freelance journalist, blogger and trainer bases in Kiel, Germany. He worked for more than 15 years for various newspapers and magazines. Today he works worldwide as a MoJo trainer and has been teaching courses in Armenia, Germany, Canada, Italy, Hong Kong, Fiji and the United Kingdom for the past ten years. He gives courses on topics such as mobile journalism, video shooting with the smartphone, 360-degree video & photo + virtual reality, movies for science and blogging for journalists. Matthias Süßen ist freier Journalist, Blogger und Trainer aus Kiel im hohen Norden Deutschlands. Er arbeitete für mehr als 15 Jahre für verschiedene Zeitungen und Magazine. Heute ist er weltweit als MoJo-Trainer tätig. In den vergengenen zehn Jahren gab er Kurse in Armenien, Deutschland, Kanada, Italien, Hong Kong, Fiji und im vereinigten Königreich. Er gibt Kurse zu Themen wie Mobile Journalism, Videodreh mit dem Smartphone, 360 Grad Video & Foto + Virtual Reality, Filmen für die Wissenschaft und Bloggen für Journalisten. Barbara Weidmann-Lainer is an experienced journalist, lecturer, trainer and early adopter. She is working independently as a crossmedia journalist since 2002 and passing on her experiences in courses. She is conducting seminars for several journalistic institutions and associations, focussing on video production, multimedia storytelling and mobile reporting. Newspapers and publishing houses, research institutes and NGOs, enterprises and public authorities engage her for inhouse seminars. Before that she spent more than ten years at ProSieben, a German national tv station. For three of these years she and her team developed „Arabella“, a daily talkshow format. Changing back to tv news, where she originally started her career as an editor during her studies, she was purveying live reports, worked as a planning editor, executive editor and anchorwoman. Barbara Weidmann-Lainer ist eine erfahrene Journalistin, Dozentin, Trainerin und early adopter. Seit 2002 arbeitet sie freiberuflich als Crossmedia-Journalistin und gibt ihre Erfahrungen in Kursen weiter. Sie führt Seminare für verschiedene journalistische Institutionen und Verbände durch und konzentriert sich dabei auf Videoproduktion, Multimedia Storytelling und Mobile Reporting. Zeitungen und Verlage, Forschungsinstitute und NGOs, Unternehmen und Behörden engagieren sie für Inhouse-Seminare. Zuvor war sie mehr als zehn Jahre bei ProSieben, einem bundesweiten deutschen Fernsehsender, tätig. Drei Jahre lang entwickelten sie und ihr Team "Arabella", ein tägliches Talkshow-Format. Nach ihrer Rückkehr in die Nachrichtenredaktion, wo sie ihre Karriere während des Studiums als Redakteurin begann, lieferte sie Live-Berichte, arbeitete als Planungsredakteurin, CvD und Moderatorin. Devadas Rajaram is a media professor, professional trainer and consultant with focus on innovation in digital journalism, multimedia storytelling with immersive technologies and data visualisation. He was named one of to the top 20 innovators in journalism education worldwide by MediaShift.org in January 2018. Rajaram pioneered as senior chief editor at the world’s first mobile journalism platform "Info2Cell" in Dubai from 2000 to 2009. He worked in digital journalism from 1997 to 2000 as sub-editor in the newsrooms of "Emirates News" and "The Gulf Today" with focus on politics in Asia, Middle East and Europe. Devadas Rajaram and his affiliate Marie Elisabeth Mueller developed the “integrated digital workflow” for newsrooms and communication units. Both advise newsrooms, organisations and businesses worldwide on their transit into successful digital units. Philip is one of the world’s leading mobile journalists. As the mojo lead at RTÉ, Ireland's national public service broadcaster, he has produced dozens of tv news reports on his iPhone. Alongside his reporting role, he now leads a small team in the RTÉ newsroom who produce original "digital first" stories on mobile devices for the broadcaster's growing mobile audience. Philip believes this is an exciting time to be a mobile journalist, with the potent combination of audience behaviour and technology changing how news is gathered, packaged and distributed. 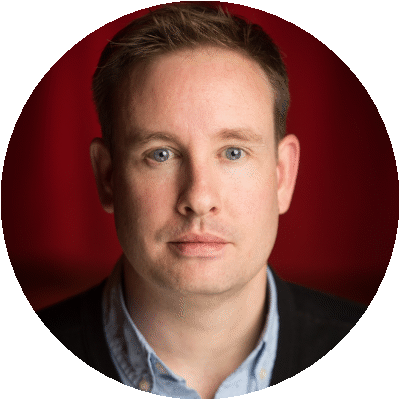 An experienced and engaging trainer, Philip has also taught mobile, visual and social storytelling throughout Europe. Niamh is a highly experienced television producer director, formerly with RTÉ, the national broadcaster of Ireland. She is a BBC-qualified trainer and has been training content makers in video for the last eight years, with a popular programme called ‘Shoot Edit Upload’. At the Irish Times newspaper, she helped build a successful online video channel virtually from scratch, increasing traffic to this channel by 1,100 % over a two year period. Niamh is the founder of a training company called Go Motion Academy, which provides expert training to businesses in video for social media, digital marketing and internal communications. She enjoys sharing her extensive knowledge and skills in the realm of broadcast, and applying those standards to mobile video content creation for business. Glen is an internationally recognised mobile journalism trainer and founder of the world’s first mobile journalism conference: ”Mojocon” He has worked in broadcast for 19 years and recently left his position as Head of Innovation RTÉ (The Irish National Broadcaster) to establish his own media training company Titanium Media. Glen has trained several thousand journalists and media professionals in mobile journalism over the last seven years. His clients include NRK, BBC, Aljazera, Symantec, Oracle and many more. Peter Brinkman is a certified trainer with years of experience in training journalists and communication officers in videojournalism and Mojo. He has worked as a videojournalist and editor in chief for several news organization in the Netherlands. Over the years he has trained hundreds of journalists local and abroad in video journalism and mojo. He is videotrainer for the NVJ Academy, the Dutch journalism union. Peter is not only training journalists but also communication officers of several major organizations in the Netherlands like National Police, Shell, and Dutch railways . Besides trainer is Peter working as producer and DoP for his own production company. Peter Brinkman is een CRKBO gecertificeerde trainer met jarenlange ervaring in het trainen van journalisten en communicatiespecialisten in videojournalistiek en Mojo. Hij heeft gewerkt als camjo en eindredacteur bij onder andere RTV Rijnmond en Hart van Nederland. In de loop van de jaren heeft hij honderden cursisten getraind in videojournalstiek en Mojo. Peter is de vaste trainer bij de NVJ Academy. Daarnaast traint hij communicatiespecialisten van onder andere de politie, NS en Shell. Naast het geven van trainingen werkt Peter als producent voor zijn eigen productiemaatschappij. Harmke Oudenampsen is mojo-trainer en expert mobile storytelling. Ze is erg enthousiast over de mogelijkheden die de smartphone biedt: “Iedereen kan publiceren, maar dat maakt niet van iedereen een goede verhalenverteller. Dat wil ik graag veranderen.” Harmke heeft gewerkt als verslaggever en redacteur voor het NOS Journaal en regionale omroepen als Gelderland en RTV Oost. “Na mijn opleiding journalistiek heb ik van de beste cameramannen en editors geleerd hoe je een shot maakt, monteert en beeldverhalen vertelt. Die kennis deel ik nu full-time door trainingen te geven in het filmen met smartphone. Rob Freijssen is an experienced journalist and editor-in-chief in broadcasting & trainer and teacher in journalism and communication. He worked as editor in chief at regional and national stations, and started the local station OPEN Rotterdam, a mojo based station and Broadcaster of the Year 2017. As a freelancer Rob is training journalists, communication officers and students in filming, editing and storytelling with the smartphone. Rob obtained his master's degree with a thesis on MOJO. Rob Freijssen is een ervaren journalist en hoofdredacteur in de omroep & trainer en docent in journalistiek en communicatie. Hij werkte bij de KRO, als hoofdredacteur bij RTV Rijnmond & West en startte OPEN Rotterdam, een op MOJO gebaseerd station en Omroep van het jaar 2017. Als freelancer traint Rob journalisten, communicatiemedewerkers en studenten in filmen, monteren en storytelling met de smartphone. Rob behaalde zijn masterdiploma met een thesis over MOJO. Twan Spierts works as a reporter, editor and mojo trainer for several broadcasters and online media. In his training sessions, he focusses mainly on practical applicability: how to easily tell a story with just a phone. He trains anyone who wants to tell a story: journalists, communication professionals, students, but also nurses and teachers. Twan Spierts werkt als verslaggever, (eind)redacteur en mojo-trainer voor diverse omroepen en online media. In trainingen focust hij vooral op de praktische toepasbaarheid: hoe kun je zo makkelijk mogelijk een verhaal vertellen met je telefoon. Hij traint iedereen die een verhaal wil vertellen: journalisten, communicatieprofessionals, studenten, maar ook mensen uit ‘de praktijk’ in o.a. de zorg- en onderwijssector. 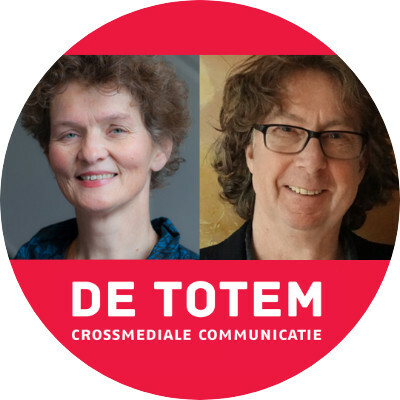 DE TOTEM is founded by Fetsje Luimstra and Arthur Nooter. They started giving workshops filming with smartphone, editing with an App in 2012. Editing they do with LumaFusion on iPad and iPhone. They prefer working on iOS but have an alternative for Android. They witnessed the revolution taking place through the combined rise of smartphone filming and YouTube. They were pioneers and convinced companies to step in, to tell their story with video. Their focus: telling short stories for social media with a clear message. They give workshops from a 3-hour pressure cooker approach to a well-balanced course in five half-days. Students always concentrate on a work related video. DE TOTEM is opgericht door Fetsje Luimstra en Arthur Nooter. Ze geven workshops in filmen met een smartphone, monteren met een app sinds 2012. Monteren doen ze met LumaFusion op zowel iPad als iPhone. Ze werken het liefst op iOS, maar hebben een alternatief voor Android. Ze waren getuige van de revolutie die zich voltrok door de gecombineerde opkomst van smartphone filmen en YouTube. Ze waren pioniers en overtuigden bedrijven om in te stappen, om hun verhaal met video te vertellen. Hun focus: korte verhalen vertellen voor sociale media met een duidelijke boodschap. Ze geven workshops van een 3 uur durende snelkookpan aanpak tot een goed afgewogen cursus in vijf dagdelen. Studenten concentreren zich altijd op een werk gerelateerde video. Wytse Vellinga is an international Video and Multimedia Storytelling trainer from the Netherlands. He works for Dutch broadcasting company Omrop Fryslân as a Mobile journalist making daily news reports with Android, iOS and Windows Phones. He also works as a MoJo expert for Thomson Foundation in London and the European organisation of regional broadcasters Circom-Regional. He also has his own company for teaching people and companies how to tell their story using their Mobile Phones. Wytse Vellinga is een internationale Video en Multimedia Storytelling trainer uit Nederland. Hij werkt voor de regionale publieke omroep Omrop Fryslân als mobiele journalist en maakt dagelijks reportages voor radio en TV met Android, iOS en Windows telefoons. Daarnaast werkt hij als MoJo expert voor de Thomson Foundation in Londen en de Europeese organisatie voor regionale publieke omroepen Circom-Regional. Met zijn eigen bedrijf MobileStorytelling reist hij heel Europa af om bedrijven en omroepen te leren hoe ze hun mobiele telefoons kunnen gebruiken om hun verhaal te vertellen. Experienced international mojotrainer since 2012 for Circom Regional. Does training in newsroom-workflow and for social media. Current position as VJ/Mojo for the Norwegian Broadcasting in the Arctic region. Educated as a teacher in science and technology, 30 yrs in the business. Roberto Baratti is a photographer, documentary maker and communicator based in Lima. He began his career in advertising, making creative and original photography, always with an excellent technique. Serving customers like Nike, Belcorp or Falabella, he proved that his innovative approach, was what produced sales for his clients so he expanded to video and especially to documentaries. Today, aware of the need of companies to produce content regularly, Roberto trains their employees in the use of MOJO tools and teaches them the secrets of STORYTELLING. Roberto Baratti es un fotógrafo, documentalista y comunicador afincado en Lima. Inició su carrera en el campo de la publicidad, haciendo fotografía creativa, original y siempre con excelente técnica. Atendiendo clientes de la talla de Nike, Belcorp o Falabella, comprobó que su enfoque innovador era lo que producía ventas para sus clientes, así que amplió su espectro de trabajo al video y especialmente a los documentales. Hoy, entre sus labores, está capacitar a las empleados de las empresas en el uso de las herramientas MOJO y en enseñar los secretos del STORYTELLING. Video production specialist, journalist, producer and editor. I use many years of experience (in TVN and WP.pl) during training, teaching not only the techniques of mojo (mobile journalism), but also the story cinstruction principles, selection of topics suitable for video or strictly storytelling. The trainings also concern the specificity of video production for the social media. Specjalista ds. produkcji video, dziennikarz, producent, wydawca. Wieloletnie doświadczenie wykorzystuję podczas szkoleń ucząc nie tylko wykorzystania technologii w produkcji materiałów w formule mojo (mobile journalism), ale też zasad konstrukcji materiałów, doboru i kształtowania tematów odpowiednich dla video czy stricte storytellingu. Szkolenia dotyczą także specyfiki produkcji video na potrzeby social mediów. Neal has over 15 years experience in TV, publishing, advertising and film across the UK, USA and Asia. Trained as a journalist he co-founded Singapore’s first dedicated content marketing agency in 2010 where he produced award winning video content for the likes of AIA, Amadeus, Ben & Jerry’s, Canon, Cisco, Citibank, Google, HSBC, Kuehne + Nagel, Motul, Panasonic, Singtel & Visa. In 2017 Neal sold his stake in the agency to found production company Moore’s Lore Media, which develops and produces outstanding original content including short films, feature films, web series and podcasts. Neal continues to work with brands, training them in video content strategy, storytelling and production so that they may tell their own authentic storie. Viasen is a multiple award winning journalist with 12 years of experience across multiple mediums. He is the Founder of Africa's first Mobile Journalism newsroom. A regular trainer in multimedia storytelling and video, Viasen has produced a string of Mojo teams that have won international recognition. He is a patriot and represented South Africa and his media organization at several international gatherings of the news media globally and is a regular media trainer and speaker abroad. Álvaro Andoin is an independent mobile creator specialized in live and ephemeral vídeo and content creation on social media for events, companies and professionals. He has more than 6 years experience helping events, companies and professionals creating social, ephemeral and live content on social media crafted to their audience needs. He also trains professionals who want to learn how to produce and promote live and video content with their smartphones. Before founding Filmatu, Álvaro worked as Internet Director for Estée Lauder Companies in Madrid during 6 years. He has also experience working in media agencies (HAVAS digital) and creative agency. Álvaro lives in Bilbao, Spain, and speaks fluently English and Basque. Alvaro Andoin es un creador móvil profesional especializado en la producción de contenido efímero y vídeo en directo en redes sociales para eventos, empresas y profesionales. 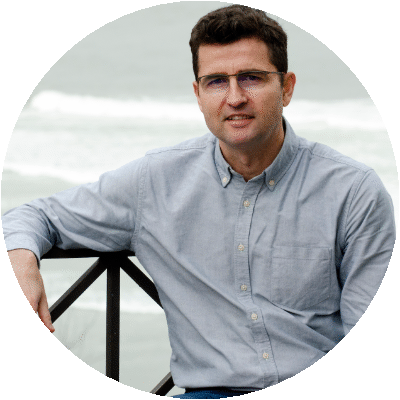 Álvaro lleva más de 6 años ayudando a eventos, empresas y profesionales a crear contenidos sociales, efímeros y en directo adaptados a sus audiencias. Además, desde hace varios años imparte talleres en los que enseña a producir vídeos con smartphones. Antes de fundar Filmatu trabajó como responsable de Internet en la multinacional Estée Lauder Companies. Además tiene experiencia trabajando tanto en agencias de medios y en agencias creativas. Álvaro vive en Bilbao, España, y habla de manera fluida inglés y euskera. 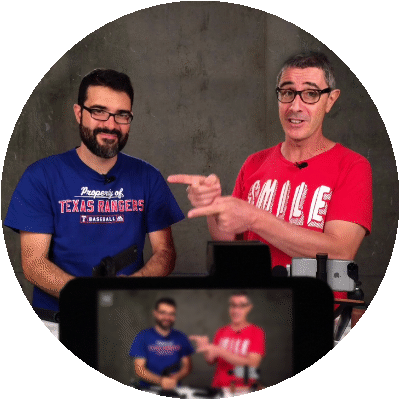 Javier Cabrera and Óscar Oncina are the authors of eltalleraudiovisual.com, the pioneer blog in Spanish about how to make videos with mobile devices. They help people who want to learn how to make their own videos for the Internet and social networks... only with a smartphone. Since 2013, Javier and Óscar have run more than 100 workshops. In 2016 they created the First Online School of Mobile Video in Spanish (https://escuela.eltalleraudiovisual.com/). They also own the production company, YOS Contenidos, dedicated to create videos with smartphones and tablets. Javier Cabrera y Óscar Oncina son los autores del blog eltalleraudiovisual.com, pionero en español sobre el territorio del vídeo hecho con móviles. Javier y Óscar ayudan a las personas que quieren hacer sus propios vídeos para Internet y Redes Sociales... solo con un móvil, Desde el año 2013, han impartido más de 100 talleres presenciales. En 2016 crearon la 1ª Escuela Online de Vídeo con Móviles en español (https://escuela.eltalleraudiovisual.com/). Tienen una productora, YOS Contenidos, dedicada a crear vídeos con móviles y tablets. Julio has been working on video since he was fourteen years old, starting editing and later filming social events (weddings, concerts, exhibitions) and also tourist documentaries. He is a devoted fan of mobile video filmmaking and works as an instructor for entrepreneurs and small companies who want to use video to promote their products and services (mostly using mobile devices). He also created a 10 hour long course on boluda.com online platform where he teaches on how to create video for various marketing online purposes. Julio lleva trabajando en el mundo del vídeo desde que tenía 14 años, editando primero y grabando después infinidad de eventos sociales (bodas, conciertos, ferias) así como documentales turísticos. Es un incondicional de la grabación con móviles y enseña a emprendedores y pequeñas empresas que quieren usar el vídeo para informar de sus productos y servicios (principalmente con dispositivos móviles). Ha creado un curso de 10 horas de duración para la plataforma online boluda.com sobre la creación de vídeos para las diferentes acciones de marketing online. Ana is a mobile and multimedia journalist with more than fifteen years of experience in which she has gone through press offices and newsrooms of several local and national media. With a degree from the University of Navarra, she expanded her multimedia training at the University of California Berkeley and discovered mobile reporting at Columbia University in New York. Since then she bets for the creation of content with mobile phone, a tool that allows you to narrate visual stories in a simple way, from anywhere and in real time, or almost. She has given several courses on mobile journalism at the School of Communication of Unidad Editorial and she has been in charge for internal training at Grupo Godó (for LaVanguardia.com), Atresmedia (for Antena 3 News) and Grupo La Información (for Diario de Navarra) as well. Ana es periodista móvil y multimedia con más de quince años años de experiencia en los que ha pasado por la prensa oficinas y redacciones de varios medios locales y nacionales. Licenciada por la Universidad de Navarra, amplió su formación multimedia en la Universidad de California Berkeley y descubrió el reporterismo con teléfono móvil en la Universidad de Columbia en Nueva York. Desde entonces, apuesta por la creación de contenido con dispositivos móviles, una herramienta que permite narrar historias visuales en un manera simple, desde cualquier lugar y en tiempo real, o casi. Ha impartido varios cursos sobre periodismo móvil en la Escuela de Comunicación de Unidad Editorial y así como formación interna en Grupo Godó (LaVanguardia.com), Atresmedia (Antena 3 Noticias) y Grupo La Información (Diario de Navarra). Pipo Serrano, Journalist. After more than 15 years working in radio he joined new adventures in TV. Initially as the expert in digital fields and mobile disruption, and after 3 years, in 2015, becoming the Deputy Director and Digital Editor ‘8 al dia’ (8tv). Managing a newsroom of 50 professionals, he transformed their workflow into digital first, and TV later. He also introduced MOJO in his team, and they “mojo-covered” many elections, the refugee crisis, terrorist attacks and daily stories. In 2017 he published two books on MoJo. He also teaches Digital Journalism & MoJo at University. Actually, he is transforming TV, Documentaries and Corporate into MOJO/Digital, at Broadcaster Co.
Pipo Serrano, Periodista. Tras más de 15 años dedicado a la radio, decide emprender nuevas aventuras en TV. Inicialmente como experto en cuestiones digitales y disruptivas en "Mobile", y 3 años más tarde, convirtiéndose en Director Adjunto y Editor Digital de "8 al dia" (8tv). Liderando un equipo de 50 profesionales, transformó sus dinámicas periodísticas priorizando la difusión en digital sobre la Televisiva. Introdujo también el MoJo (Periodismo Móvil) en su equipo y gracias a ello cubrieron elecciones, la crisis de refugiados, atentados terroristas y otras historias diarias. En 2017 publicó dos libros con el foco puesto en el MoJo. Además, enseña Periodismo Digital en diversas universidades. Actualmente, transforma digitalmente y adapta al MoJo, contenidos para TV, documentales y corporativos, desde Broadcaster Co.
Patrik has been working for the Swedish national broadcaster, SVT, for 25 years. Most of the time as a one-man-band; Video Journalist and Mobile Journalist for SVT News covering thousands of stories - gladly from rural areas, far away from the newsrooms. But many years also as a VJ- and Mojotrainer trying to spread this enthusiasm to hundreds of reporters and photographers at SVT. Fully convinced that the story is everything but also like to find out the smartest way to catch it. And often it is the mobile way! Har jobbat för Sveriges television, SVT, i snart 25 år. Mestadels som ett enmansband; Videojournalist eller MoJo för SVT Nyheter, med fokus på att bevaka främst norra Dalarna. Men har också varit flerårig utbildare i videojournalistik och mobil journalistik inom SVT. Har försökt sprida entusiasmen över att jobba själv ute på fältet till hundratals medarbetare inom SVT. Är helt övertygad om att storyn alltid är det viktigaste men gillar ändå att hitta smarta sätt att fånga historien. Ofta är det ju med hjälp av mobilen. Former ITV and BBC reporter/presenter Anna Brees is the first mobile journalism trainer to produce and present a ten minute news programme on her mobile. This viewing figures beat the circulation of the local newspaper in just 8 hours. Anna is seen as an expert, leader and influencer in the field of mobile journalism, she encourages organisations to stop selling and start storytelling, and teaches them how to use the tools they already have (i.e .a mobile) to bring mainstream media magic to their social media. She now runs a successful hyperlocal TV channel all produced and presenter on her mobile phone. She runs one and two day training courses for corporate clients, charities, not for profits, schools, colleges and SMEs. Former clients include Admiral, NHS Wales, the Intellectual Property Office, Arriva Trains Wales. She is a teacher in mobile journalism with a proven track record of creating engaging TV, and one of very few mobiles journalists with consistently high quality video output across all of her social media platforms. She recommends equipment and apps that only she feels comfortable using, and have worked well over a sustained period of time. For 20 years at the BBC, Kevin Burden worked as a radio and television reporter, presenter, producer, correspondent, editor and filmmaker. He was one of the pioneers of multi-skilled working in the BBC, working across radio, television, and online, filming and editing his own films for television. He has since produced films for charities, universities and government departments. Nowadays, Kevin finds himself broadcasting live from events using nothing more than a smartphone. 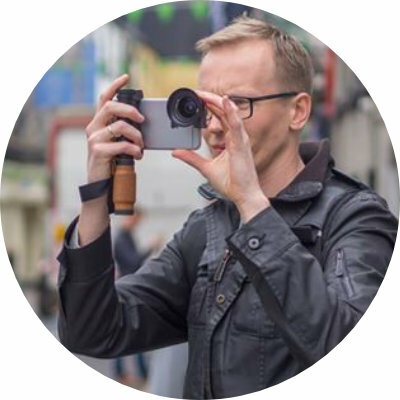 He’s passionate about exploring opportunities for all to tell their own stories using video, audio and images, armed with nothing more than the phone in their pocket. An enthusiastic trainer, Kevin has been sharing his skills globally since 1996. Mark Egan is an experienced mobile journalism trainer. He is a faculty member of the Eurovision Academy, delivering mojo trainings to broadcasters across Europe. Mark was previously a journalist and trainer at the BBC and has worked all over the world. In addition to training journalists, he has worked with major brands, organisations and charities to help them use mobile devices to share their message. 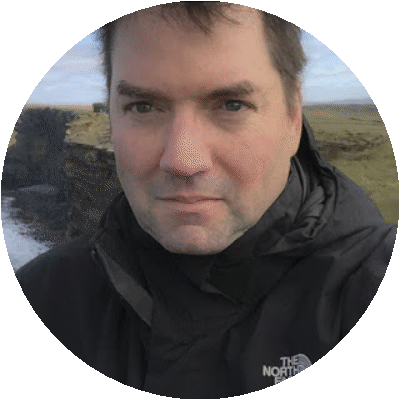 Mark is also a speaker at events across the globe including Asia Media Summit (Malaysia and China), Eurovision Assembly, WAN-IFRA Delhi, Mojocon Ireland and many more. Journalism.co.uk is a website for journalists, made by journalists. With over 20 years experience, they offer a range of services including a jobs board, press release service and open and bespoke training. Dashboard Media is London's leading mobile-video training agency. It was formed in 2011 by Alex Pell, the former tech editor of The Sunday Times and Richard Taylor, the editor of BBC Click, with the original aim of showing print journalists how to make professional videos with a phone. Today, we give brands, charities, and academics the kind of agile skills they need to tell incredible stories with everyday gadgets. Our flagship Mobile Video Pro course is a proven programme that's helped thousands of people unleash their creative mojo with a roster of clients that includes Cancer Research, Save the Children, The FA, and UBS. We believe the best way to grasp anything new is to get your hands dirty and have fun. That's why we keep things simple and share even the biggest ideas through simple stories with plenty of time to play. Toby Sadler created Smartphone Shooter. He’s been teaching mobile filmmaking since 2015 to PR and communications professionals, journalists and broadcasters along with business owners looking to tell their stories with video. Toby is a broadcast journalist with 20 years experience – and rare amongst trainers – still works as a reporter for some of the UK’s biggest news outlets. He’s regularly on air with ITV and Channel 5 News in the UK and used to report and present on Sky News. This helps him remain at the forefront of the technological and creative advances in digital storytelling – all of which he can pass on to you. Smartphone Shooter’s courses can be tailored to fit your requirements, be that a seminar of 50 people or one-to-one training. The courses cover everything you need to shoot and edit your first film all on the phone. This goes far beyond which buttons to press. It is comprehensive training in the technical aspects of smartphone video, but also storytelling, planning, messaging and how to identify and target your audience. There are also advanced courses for anyone looking to take their films to the next level. 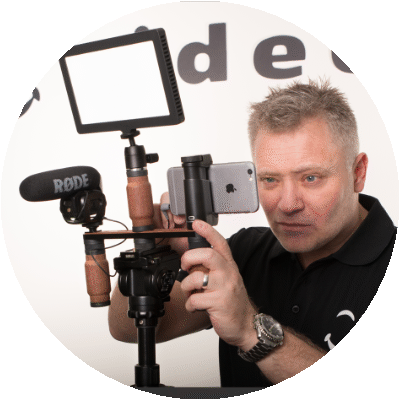 John Whyte-Venables is a former BBC radio, television and online journalist now specialising in smartphone video training for the PR and commercial sector. He currently leads on multimedia skills training at the UK Chartered Institute of Public Relations (CIPR) and MEPRA (the Middle East PR Association). His courses embrace the latest in apps and equipment with a focus on melding traditional professional videography practice with new ideas on optimising short-form video for social media. Every course is tailored to the client’s precise needs and incorporates plenty of practice coupled with essential theory in the areas of messaging and narrative, shooting and editing. John’s particular interest is shooting and editing on the same device, making the most of phone video’s key advantages of portability and flexibility. A leading media interview skills trainer for 30 years, he is author of two books, ‘What is News?’ and ‘Handling Media Interviews’, and is a former Press Fellow of Wolfson College, Cambridge. Len is an emerging media specialist, educator, and consultant specializing in mobile journalism. Covers Notre Dame athletics using emerging media technologies and teaches in the Notre Dame Gallivan Journalism program. Len has also done extensive research in mobile journalism, including his Ph.D. dissertation entitled, " Think Global, Teach Local: A Mixed-Methods Study to Understand the Perceptions of Global Journalism Leaders and Educators Towards Journalism Competencies and Education in the Mid-21st Century and Beyond." Most of his research was done at Mojocon. Michael Rosenblum is considered as the inventor of Video Journalism. He has built MoJo Driven TV stations and networks worldwide and has taken more than 40 newspapers into MoJo by training more than 40,000 people in video journalism since 1988. Geoff Roth is the head of the mobile video production and training company MoJo Navigator. His work in the media began in 1980 as part of the original team that started CNN. He has been innovating ever since. He created the first all-digital local newsroom at KSWB in San Diego in 1999, was one of the first news managers to incorporate live video streaming in newscasts, and built the first all-IP based mobile newsroom in the US for Fox at WJZY in Charlotte. He was a keynote speaker at MoJoCon, an international conference on mobile journalism and video production held in Dublin, Ireland. He started MoJo Navigator 2 years ago, and has been involved in mobile video production and training for companies across the United States. Judd Slivka teaches mobile, drone and multimedia journalism at the University of Missouri School of Journalism. He has worked at newspapers across the United States and trained newspaper and TV reporters and producers in mobile journalism on three continents. He has an incredible head of hair. Are you a Mobile Trainer?